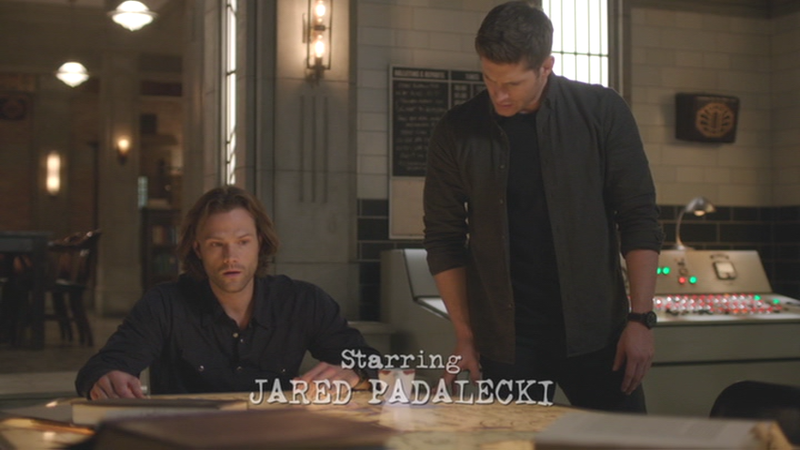 Mostly all Dean’s shirts have breast pockets, except for one of his murder shirts (Dean’s Blood Orange Shirt) and now this one… This shirt is a very plain, blackish, greyish, greenish tone. It does up with buttons and does not have any pockets. In The Future (12x19), Dean wears this shirt for the entire episode. If the Brand isn't listed, then I don't know it. Ah, you're talking about the pictures that "fran winchester" posted. I have no idea where they get their pictures - they just like to come and spam my posts with pictures of shirts, in this case, ones that aren't even related to the post. They sometimes list brands, they sometimes don't. Anyway, I just cleaned up the post - sorry about the confusion.